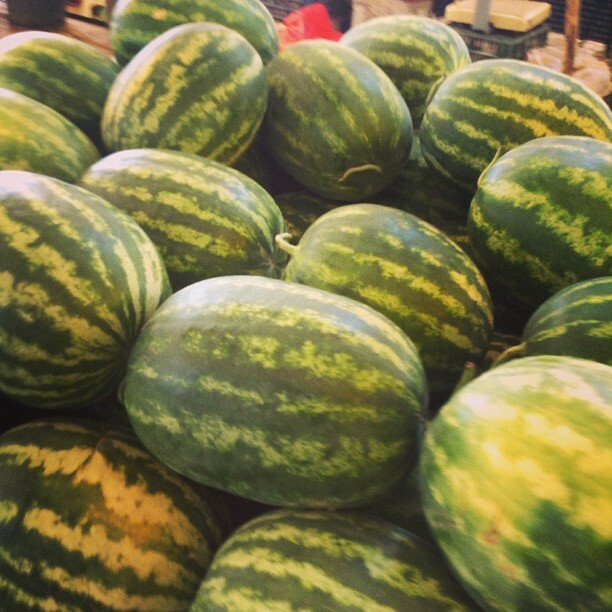 Market Day, hip hip hooray! One of the best things about living in Turkey (besides the sunshine! ) 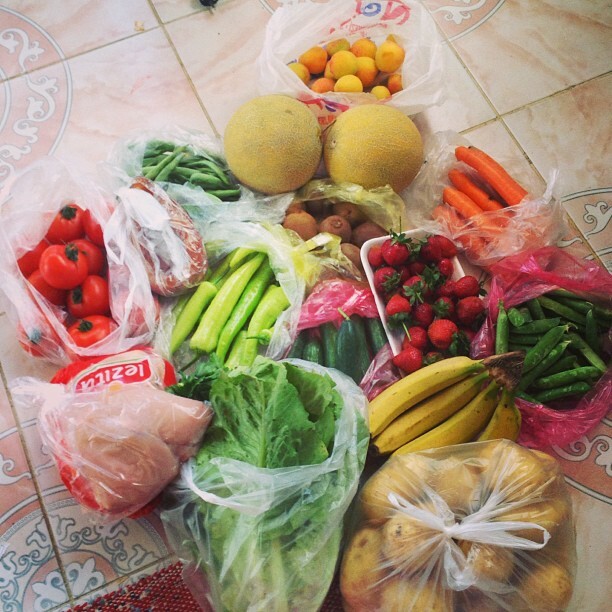 is the cheap, fresh fruit and vegetables. 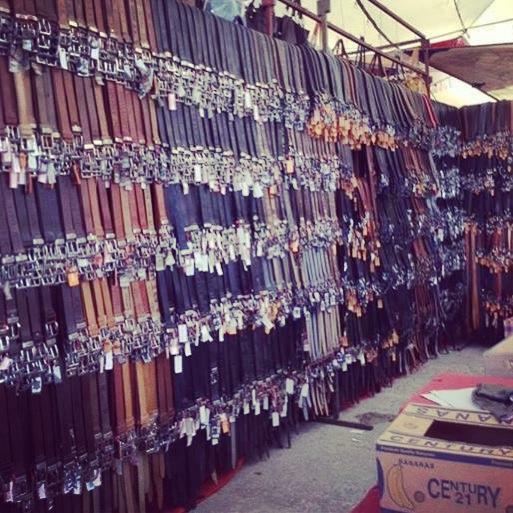 And there is no better place to get them than at the weekly markets. 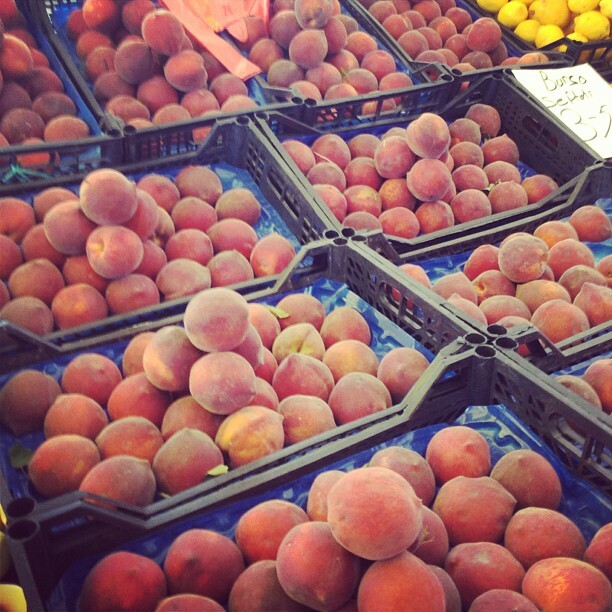 Instead of heading to the air conditioned big supermarket’s like Kipa (Tesco) or Migros, and buying perfect size/shape fruits and vegetables, we buy the same things for a much cheaper price in the market. In fact, we manage to do most, if not all, of our weekly shop there. Granted, the experience of being pushed and shoved through crowds of people in 35oC+ heat under tents, haggling to get everything a couple of lira cheaper is a little stressful, but it’s all part of the experience, and I love it. 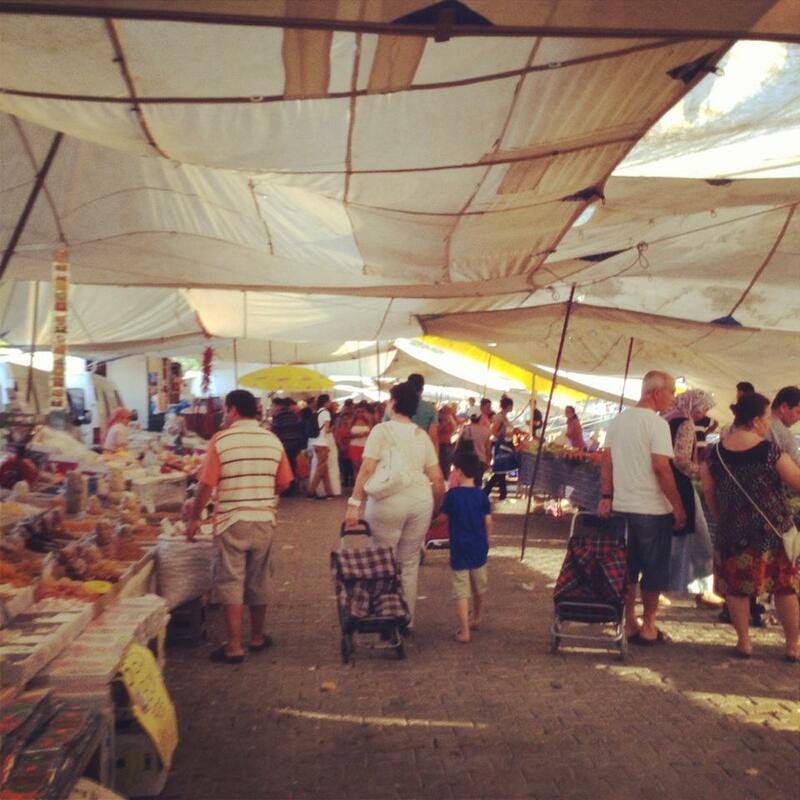 The market’s are held every Sunday in Çalis, and every Tuesday in Fethiye. We always go in the late evening, it’s cooler and as everyone starts to pack up it’s much easier to haggle a good price ( just shout ‘‘Aksam fiyati” at them) It’s all undercover so no need to worry about getting burnt, although it’s still very hot under there. 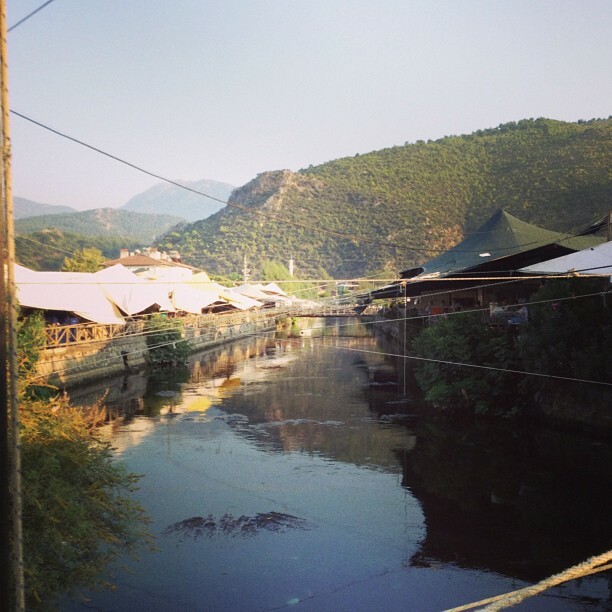 Fethiye market is the largest, and best. It is popular with tourists, but you’ll easily spot the thousands of locals doing their weekly shop there too. There are hundreds (literally) of stalls filled with fruit, vegetables, herbs, plants, even fresh milk and olive oil packaged into empty coke bottles from the villages. You have to see it to believe just how impressive it really is. Everything is done by kilograms, if you went to the market for just a couple of tomatoes, the stall holder would look at you like you had two heads. 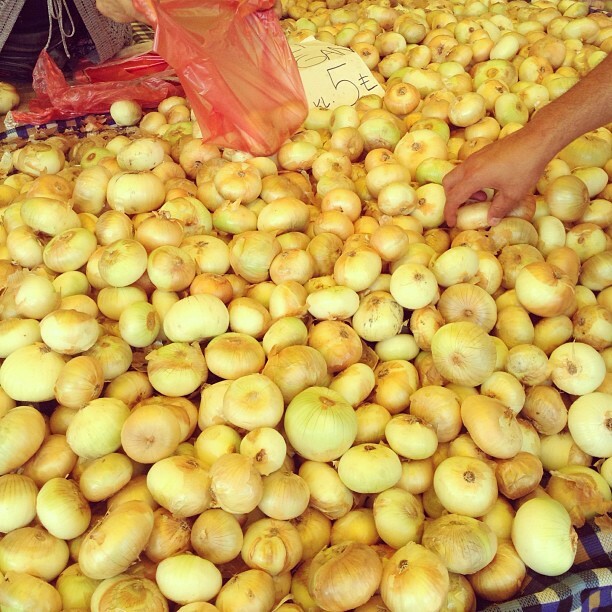 We normally buy several kilograms of tomatoes, potatoes, onions, peppers, etc. I think my arms have grown a few inches with the amount I carry home! You really have to look around for the best prices, it’s not uncommon for us to spot tomatoes for 2tl and walk up and down for another 10 minutes until we find some for 50 krs (15p) cheaper (every little helps, and all that!) It’s all part of the fun. 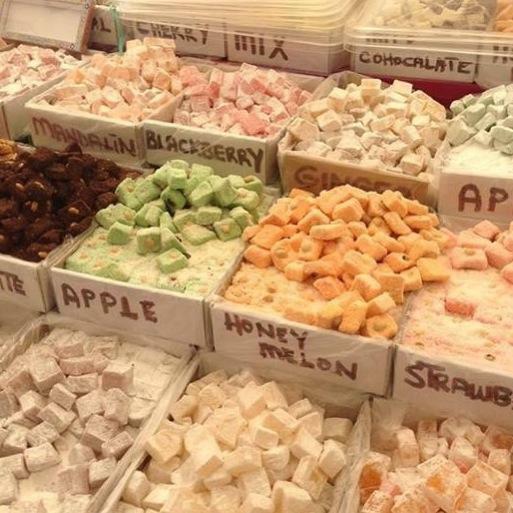 There’s also a very smelly cheese section of the market, a section with bags full of spices, a meat & egg section, and my favourite part – the Turkish delight (Lokum) section. Yum. Most will offer you free samples too. Past the food section there is a little area with tables, chairs, and vans selling Turkish pancakes etc. Another post coming about that soon. Beyond all that, is the section mainly for tourists. It’s practically non existent in winter when everyone has gone home! Here you can find everything you’d want for a souvenir. Bracelets, watches, keyrings, sunhats, sunglasses, shoes, towels, bedding, blankets, baby clothes, t-shirts, football shirts, dresses, belts, bags, wallets, even pots and pans. You name it, they’ve got it. Be careful though, don’t be fooled by the Nike or Adidas badges, the football shirts, the Versace or Chanel sunglasses. They are not real. 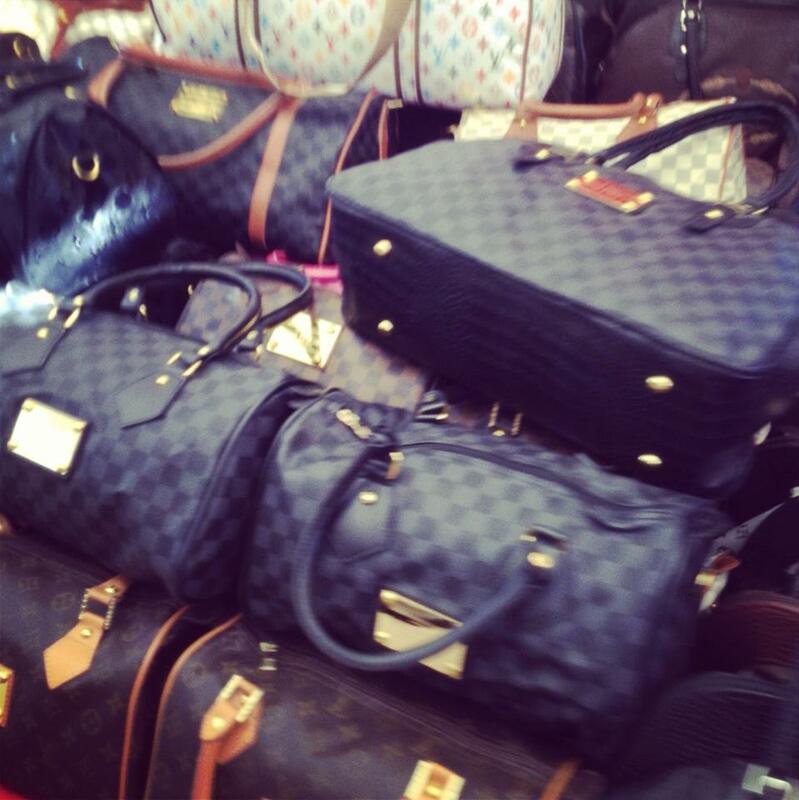 They are lovingly known as ‘genuine fakes’, a little joke among stall holders and customers. Walking along, you’ll hear ‘cheap as chips’, ‘primark prices’ shouted at you from all directions, but there shouldn’t be too much hassle. If you’re not interested, make it clear, but it’s always fun to join in the banter. Once you’ve found something you do like, NEVER pay what they ask, always haggle. Don’t be afraid, if you don’t ask, you don’t get, and the stall holders expect it. My best advice is to take a local Turkish person along with you, if someone is there who can speak Turkish, you’ll get a better deal. Sad, but true. We don’t often buy clothes or other goods from the market, just food. But when my family come to visit, they always go home with a few bags of goodies. If you’re passing by, or need a break from the pool for a few hours (yea right!) visit the market to see exactly what i’m talking about. If nothing else, its an experience. I came across from Ayak’s blog…and will be staying! 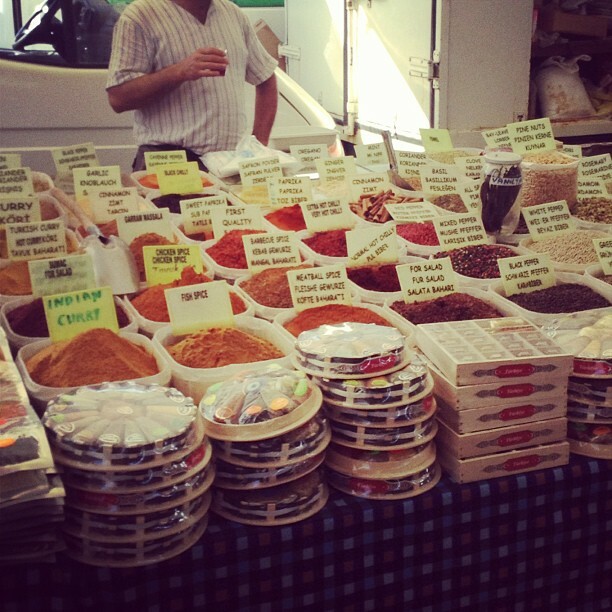 We like market shopping and bargaining too, so your post rang so true. Thanks Helen, 🙂 I love it! I agree the produce is much better and cheaper from the markets! Yep, we can get chicken, and lots of fruit and veg for around £15 and that will last us a week! 🙂 thanks for commenting. Love this Danni, brings back really fond memories of holidays to Fetiye, getting up early on holiday to go to the Tuesday market. Thank you I will enjoy reading your blog. Another person here coming over from Ayak’s blog. 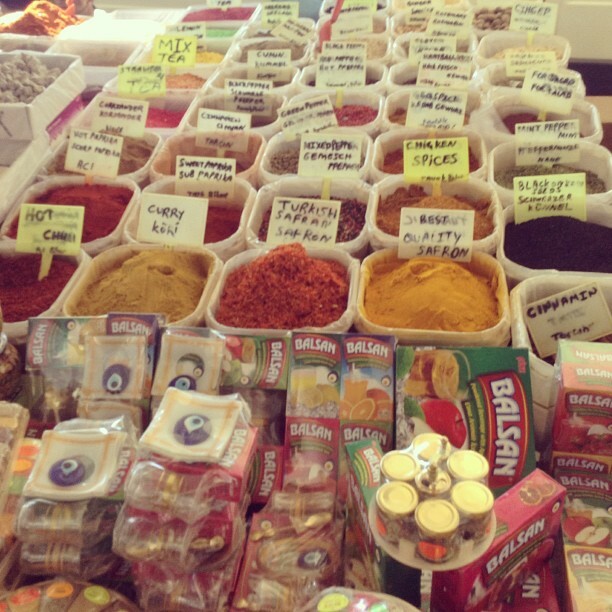 We live in Selçuk where we have two amazing markets every week. And, when I get the chance, I go to the one in Tire where very little English is spoken. It’s cheaper than the one here, but you don’t actually save the petrol or dolmuş fare. It’s just such a lovely historic town and the market has no ‘tourist section’. Love those Markets…especially the knock-off purses. ← Dinner with Friends..the Turkish way.